Landmark Rabbit and Rural Pest Control | Serving Hampshire, Dorset, Wiltshire & The New Forest. Established over 30 years ago, Landmark Rabbit Control and Rural Pest Management provide a year round solution to all your rabbit and rural pest related problems. We work on a diverse range of jobs and operate throughout the UK. At Landmark Rabbit Control we use all methods of rural pest control and management and will not be beaten on price, service and professionalism. Landmark Fox Control specialise in urban fox control in high risk areas and the urban environment. 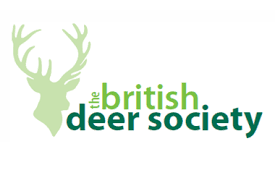 Our Highly qualified professional deer stalkers have operated throughout the UK. At Landmark Rabbit Control we cover all rural pests including mice, rats, moles, squirrels, mink, rabbits, fox, deer and all problem bird species. Coverage on Country File, discussing the damage rabbits cause to agriculture. We have a series of DVD’s showing tried and tested methods we use.